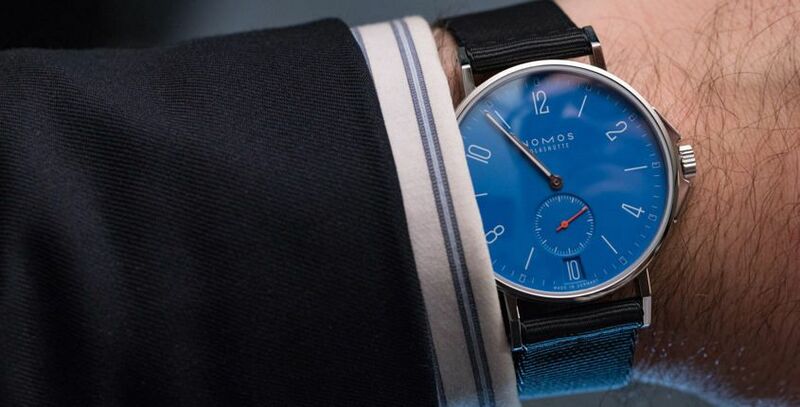 There is definitely a case to be made for letting the dust settle on the wrist before throwing out definitive lists like, for example, a top 11 from Baselworld 2017 actually recorded at Baselworld about five days through the six day fair. However, I would raise two points in our defence. 1. For us to film a list at Baselworld, capturing some of the energy of what was happening around us, we had to shoot it during the fair, while it was buzzing. Which meant that it was hotter off the press than ever. Do you really want us presenting this with jetlag, between two ferns (or apples) at the office, weeks later when all the vibe has gone? Ask yourself. 2. First impressions still count. It will be interesting to see which of these picks, which run the gamut of affordability, from a couple of grand to a home mortgage, will stand the test of time. Often we look back in anger, and wonder how we missed this or that, but that’s also part of the fun. Lastly, if this post has left you with any questions, such as, uh, what is Baselworld? What’s it really like? Then, allow us to offer this explainer, which shows the wider context around what we do there and how we do it. We hope you enjoy.